We provide a full 24 hour emergency service. The out of hours service is divided between the practice’s own vets and VetsNow Emergency Service, c/o Earlswood Vet Hospital, 193 Belmont Road, Belfast, BT4 2AE. The practice should be contacted initially to be given further direction. Shared out of hours service WHY? We share our out of hours service with Vets Now in Belfast. Out of hours work can be very tiring. Imagine a full day at work 8am to 8pm and then being called out at 3am to an emergency, arriving home at 5am and then back to work for 8am. This is the reality of covering your own out of hours 24/7 (something that we did do for years). 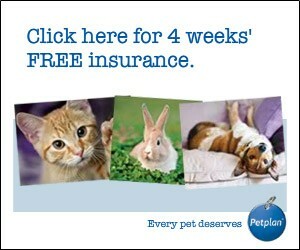 However, this leaves the vets involved physically and mentally tired. We don't want our vets to be compromised when they see or operate on your pet and that is why we have chosen to share our out of hours with Vets Now. It is difficult and stressful when an owner is faced with any emergency, but for Vets Now staff out of hours work and emergencies are their day-to-day (night-to-night) work and are specifically trained for these types of situations. They are also dedicate small animal vets so it won't be the large animal vet who happens to be on call seeing your pet. And don't worry, Vets Now staff have out of hours contact with Advance Vets and can obtain any clinical history. 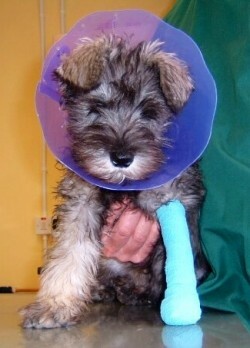 If your pet is admitted for treatment at Advance Veterinary Care our vets will provide the out of hours care. There are other circumstances where we will provide the out of hours care for your pet, and if this should apply to your pet, then the vet will discuss this with you at the time. We want to provide the best service we can and feel that sharing our out of hours is the right thing to do and, after explaining why we do, hope you agree to.